Do you have a major incline in your yard? If so, the Ultimate pool would be a great option for you. 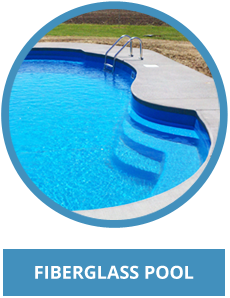 The Ultimate pool can be set completely in the ground, but due to using the same materials around the pool, the cost can get close to the same as an Inground pool. It is designed to be built above ground, semi-inground, or completely inground. 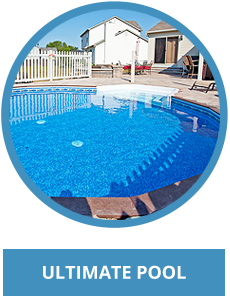 The pool comes as a package with the wall panels, liner, skimmer, pump, filter and ladder as a complete kit. The wall panels are a 14 gauge galvanized steel panel. They are the same quality as a inground pool panel. The panels are 52" tall allowing for a 4' water depth with a flat bottom install. A flat bottom is done with mason sand, compacted into place like a regular above ground pool. An optional Batten Board Vertical Siding kit can be ordered to finish off the outside of the pool. 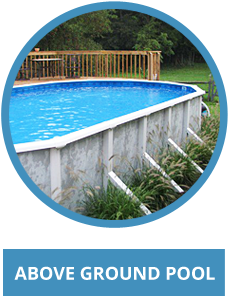 If the pool is installed above ground or semi-inground you can leave the walls exposed, but the siding is available. A synthetic wood top cap is one option too finish off the top of the pool. This option is great for matching up to exsisting decks. 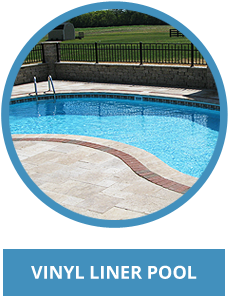 The pool can also come with an aluminum coping piece for pouring a concrete deck. This gives you a clean finished look with a concrete deck.